Following many years of wear and tear, the engine lid hinge support bracket bolt holes may enlarge, causing the original bolts not to seat properly, and, the lid to be somewhat displaced from its centred position. We came up with a simple and cheap answer to this impending problems. 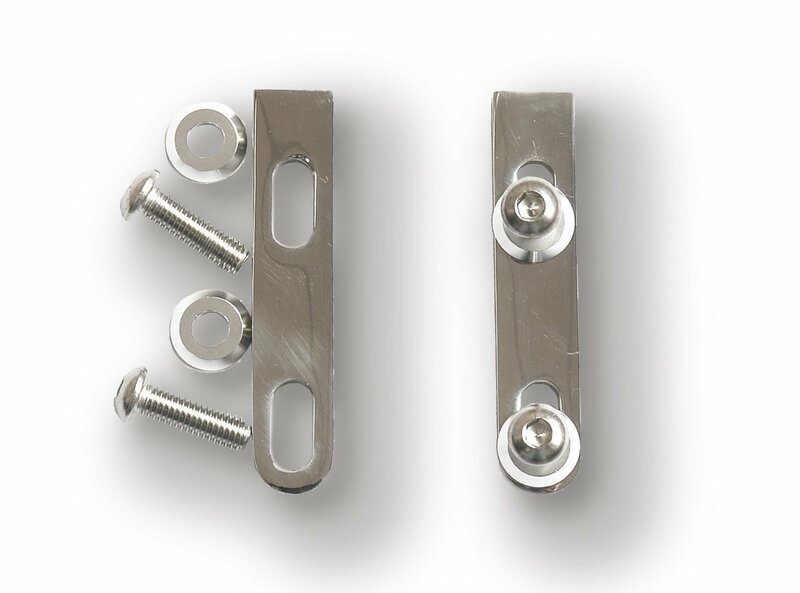 Rather than having to remove the lid, disassemble the hinge support brackets, and replace them with new issues, why not simply place a bolt mounting plate over the holes. Includes polished stainless steel plates(2), stainless steel bolts and signature washers. Fit all VW aircooled Beetle (bug).